Move from Physical and Emotional Distress and Suffering into Profound Forgiveness, Love and a Discovery of Our Infinite Loving Nature! 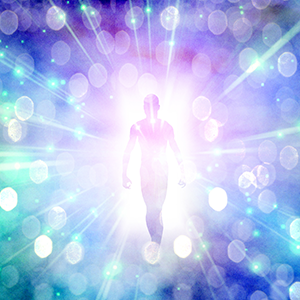 Using the Quantum-Touch Techniques, Create a High Frequency of Life-Force Energy and Amplify the Body's Ability to Heal Itself! In the Original Workshop Online, Richard Gordon, founder of Quantum-Touch, demonstrates the Quantum-Touch techniques. This course covers the basics of working with life force energy including the the Quantum-Touch breathing and sweeping techniques, working with back pain, patterns of energy, working with chakras, toning, emotional healing, and distant healing. 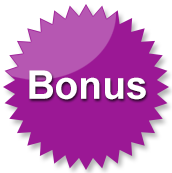 ​for a wide range of benefits with surprising and often extraordinary results. The body has an extraordinary ability to heal itself and Quantum-Touch helps to maximize the body's own capacity to heal. 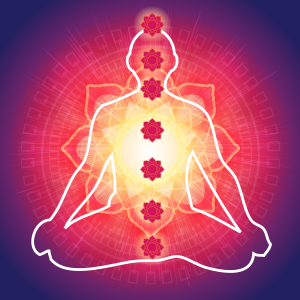 Quantum-Touch addresses the root cause of disease and creates the space for true healing to occur. Rather than just working on symptoms, Quantum-Touch will address the underlying cause of disease. 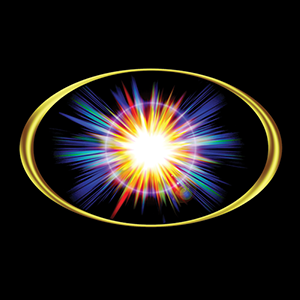 *Medical Disclaimer: Quantum-Touch does not claim to treat or heal specific conditions; the effectiveness of Quantum-Touch is based on an individual's ability to heal and the results will vary. Ultimately if the body can, it will heal itself and Quantum-Touch may accelerate that process. Expand upon your newfound understanding of body knowledge to facilitate healing in not only yourself, but other people and even animals! It’s Easy To Learn QT Basics With Our Online Training! 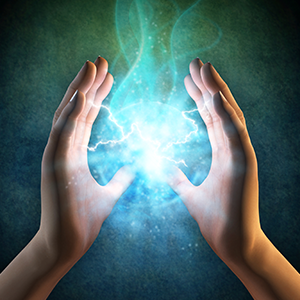 ​Special Bonus Module: ‘How to See and Perceive Energy’ - a $34.95 Value! ​The Original Workshop Online now! 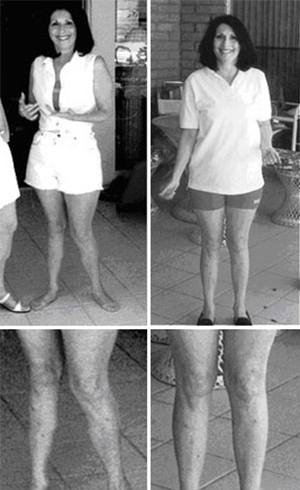 Rebecca's leg had been misaligned for six years due to Multiple Sclerosis. These pictures show the improvement due to a single Quantum-Touch session by first day students in Quantum-Touch Level I workshop. 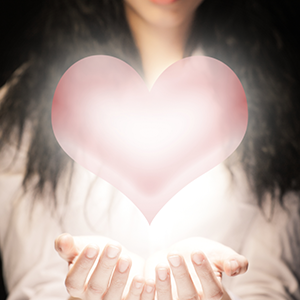 Although all healing is self-healing, we can assist other people with their own healing process. Using the Quantum-Touch techniques, we can create a high frequency of life-force energy. If we place this field of high energy around an area of pain, stress, inflammation, or disease, the body can entrain to the higher frequency, thus amplifying the body's ability to heal itself. ​In The Original Workshop Online, Richard demonstrates the Quantum-Touch techniques. This video course features the Quantum-Touch Online Video Library, covering the basics of working with life force energy including the Quantum-Touch breathing and sweeping techniques, working with back pain, patterns of energy, working with chakras, toning, emotional healing, and distant healing. Learn Quantum-Touch Healing Techniques Immediately! The Original Workshop Online is presented in four parts. Each part contains a series of 13–20 video clips. '“I just had to mail you to say how much I appreciate your videos. They are a constant source of information. I know this may sound strange so I'll explain. I have done 3 video workshops now, I have attended one and hosted two. Each time, I've picked up something I've missed before. Right now I'm in the process of going through them almost frame by frame as part of my research, if you like, as I'm currently putting together my syllabus for when I become an Instructor. It's only really in doing this that I'm appreciating just how much work has gone into them and how much information they actually contain. You present it in such a way that it seems as though you're just chatting, not 'lecturing' and so it feels really simple and easy. I know the work can be learned easily, but your elegant way of putting it across makes it totally accessible to everybody. Thank you soooo much for this.” ~Jan Davies, Certified Quantum-Touch Practitioner Merseyside, UK. '“Having been a chiropractor for the past twelve years, and a student of metaphysics for the past thirty-five, it is my unequivocal conviction that Quantum-Touch is truly one of the most simple, effective, and liberating healing techniques that virtually anyone can learn. My empirical experience has validated many of the premises and phenomena presented in Richard Gordon's book. From the first day I took the Interactive Video course, I was indeed able to move the pelvic and sacral bones of a person standing, with only a light touch on their iliac crests. The occiput and spine demonstrated a similar level of response to process of running the energy . When I incorporated this technique into my practice, I was able to produce some remarkable reductions in my patients pain levels for a variety of conditions ranging from the usual neck and back complaints to those of knee, wrist, elbow and temporomandibular joint (TMJ) pain. I am certain that with further research, the application of Quantum-Touch will become the first action we resort to when someone is in pain, precisely because it is instinctive, natural and effective. This work is truly a gift to humanity.” ~Jonathan D. French, D.C. Since founding the Quantum-Touch Organization more than 18 years ago, Gordon has been showing people the remarkable power of hands-on healing. In his first international bestseller Quantum Touch: The Power to Heal, he chronicles the way that energy follows thought--and the process of body awareness combined with specific breathing techniques, directed into one's hands can significantly impact a vast variety of structural problems, illnesses, emotional or mental disturbances, chronic diseases and/or cellular or organ disruptions. Anyone can do Quantum-Touch with proper training, and can even use it on pets! 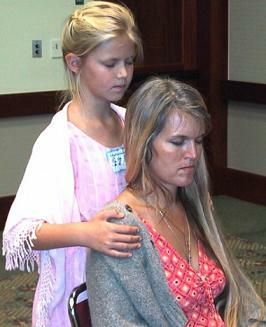 Gordon's journey as a healer began as a skeptic, but experiences with the incontrovertible healings of himself and others--many at the hands of the remarkable healer Bob Rasmussen, a friend and neighbor, opened the way for Gordon to immerse himself in hands-on healing and pave the way for what would become Quantum-Touch. Today, Gordon teaches Quantum-Touch around the globe. Quantum-Touch: The Power to Heal--which boasts a foreword by Dr. C. Norman Shealy, President of the American Holistic Medicine Association--has been published in 17 languages. Gordon is a sought after speaker.